The building's outside geometry resembles the asymmetry of a natural crystal, yet the steel skeleton and 840 shiny diamond-shaped windows suggest a highly polished sleekness. 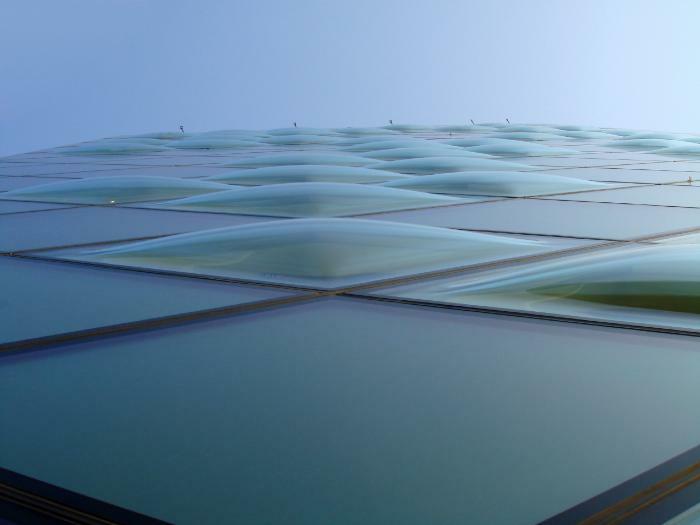 The glass walls are not the usual transparent curtain-walling but a transparent, structural shell. Keywords: Japan, Tokyo, Minami Aoyama, shop, glass wall, commercial building, office, diagonal grid, module, crystal, diamond.